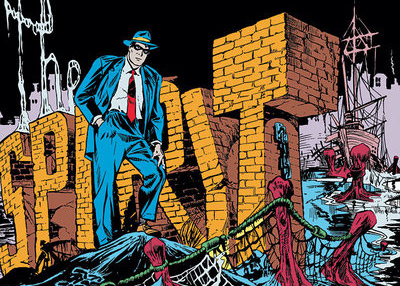 Paul Levitz to draw a unique picture of Will Eisner's work and influence in Will Eisner: The Dreamer and the Dream, an Abrams ComicArts book due out next year. This page contains a single entry by Carl published on August 26, 2013 7:00 AM. Fagin the Jew was the previous entry in this blog. Jeff Smith at UMass Amherst is the next entry in this blog.